I've blogged in the past about how eating your carbs last may help reduce your blood sugar levels even 2 hours after your meal. 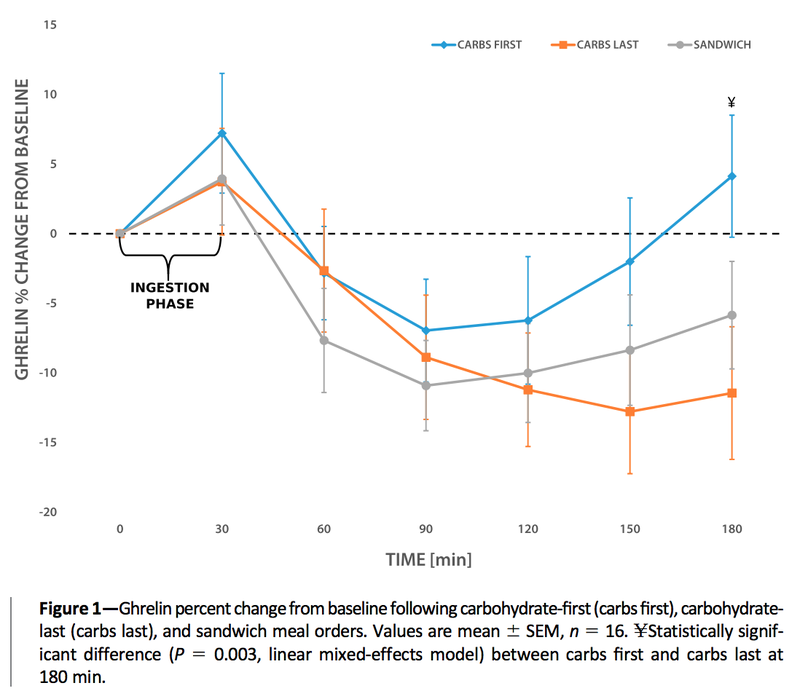 Well here's another reason why you might want to eat your carbs last - ghrelin. Ghrelin is one of the body's primary hunger hormones. More ghrelin, more hunger (more on this though in a tiny bit). 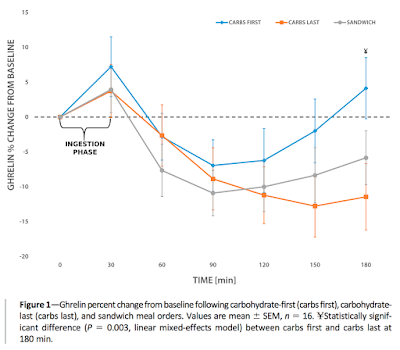 Well, a small crossover study looking at the effect of food order on ghrelin levels found that eating carbs last led to a sustained suppression in ghrelin levels 3 hours later, while eating carbs first led to not only ghrelin levels returning to baseline at 3 hours, but also their slight rise (-11.45 ± 3.86% vs. +4.13 ± 4.38%; P = 0.003). 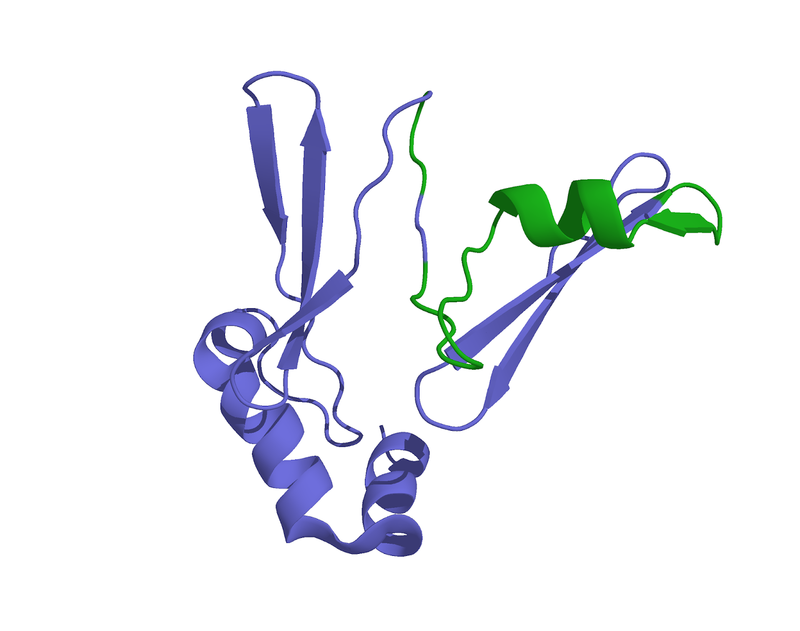 But that said, ghrelin is a surrogate end point for hunger and/or consumption. Unfortunately, at least in this small study, subjective hunger wasn't different between conditions at any point, and consumption at later meals wasn't measured. Looking forward to future research on this file, but given the ease of this intervention, I'd file it under maybe worth a try.